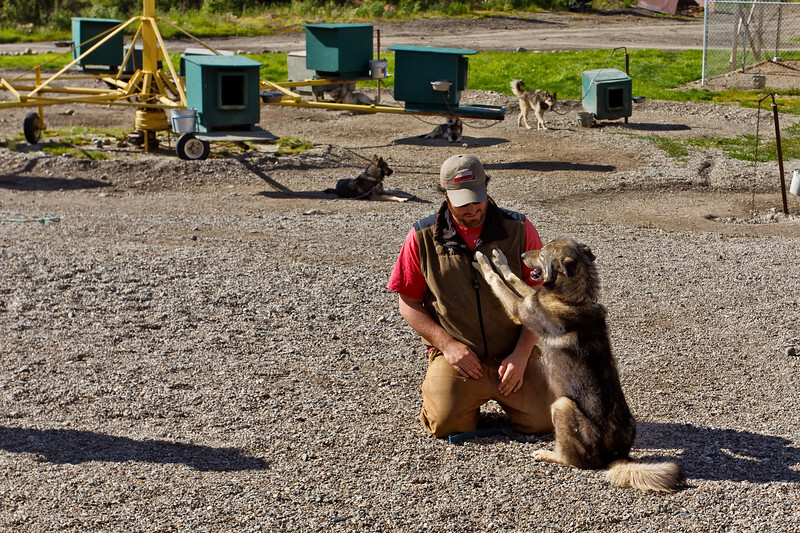 Trainer with "Salem," the now-retired lead dog of Jeff King's 2006 Iditarod win. Jeff KIng calls Salem one of his "great ones." The carousel in the background is one way the dogs exercise in the summertime.